Gobble up this turkey breakfast sandwich recipe to start your day off healthy. 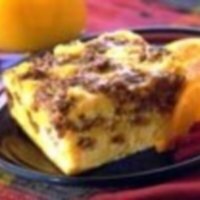 Using turkey sausage, egg substitute and low fat cheese, this healthy breakfast recipe is lower in fats and calories while remaining tasty. You can try different breads and cheeses to change up the flavors. The information below includes step by step directions, list of ingredients and a picture of the completed meal. 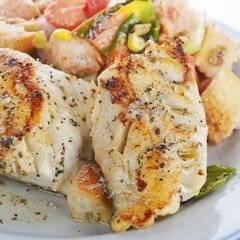 You will also find nutrition information and Weight Watchers points for this recipe so you can track what you need to help you lose weight. This breakfast sandwich recipe can be made using whole grain bagels, English muffins or your favorite breads to add some variety. Instead of turkey sausage, you can use a lean meat like ham as a nice change. Just be sure to adjust the nutrition and WW points as needed. Divide ground turkey sausage into 4 sections. Pat into sausage patties. In medium non-stick skillet over medium heat, saute patties 3 minutes on each side until browned, but not cooked throughout. Pour the egg mixture into a 1 quart microwave safe casserole dish. Gently coat with cooking spray. Arrange the partially cooked turkey patties over the egg mixture. Cover with vented plastic wrap and microwave at medium power (50%) turning the dish 1/4 turn every minute. Cook for 5-1/2 to 6-1/2 minutes or until egg mixture is almost set. Remove from microwave and place the half cheese slices over each turkey patty. Recover and allow to stand for 5 minutes to set the eggs. Cut the turkey and egg mixture into 4 squares and place between the toast and serve. The nutrition facts shown below are per serving. The number of servings is noted in the header section below. The serving size is the first item noted on the nutrition facts table. The egg substitute and veggies were not used in the calculation for the Freestyle SmartPoints. The veggies were not used to calculate all other points. To add a little zing to this sandwich, try pepper jack cheese. Here's a fun breakfast sandwich recipe that has a sweet taste as it's made with pancakes instead of breads. 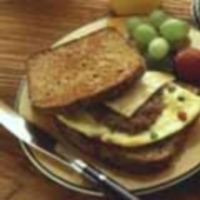 Place a piece of this breakfast casserole on bread and turn it into a sandwich. This is not your typical French toast recipe. 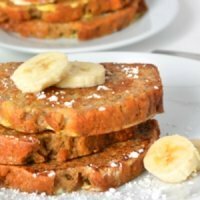 Made with yummy banana bread it is sure to delight everyone. Using ground turkey for lower calories and points, this burger is stuffed with flavor. 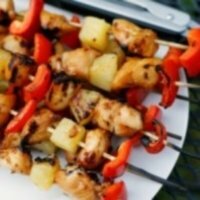 Grab your skewers and thread on the turkey and pineapples to make a healthy appetizer. Thinking fish for dinner tonight? 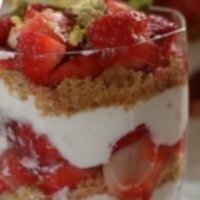 Why not give this recipe a try. Try this little known methods for boosting your metabolism naturally. No pills, supplements or fad diets. All natural ways to rev your fat burning furnace. Track the calories in this breakfast sandwich recipe and all the foods you eat with this free downloadable spreadsheet. Build up your lean muscle mass to burn more calories during your day. There are many health benefits of strength training in addition to weight loss.